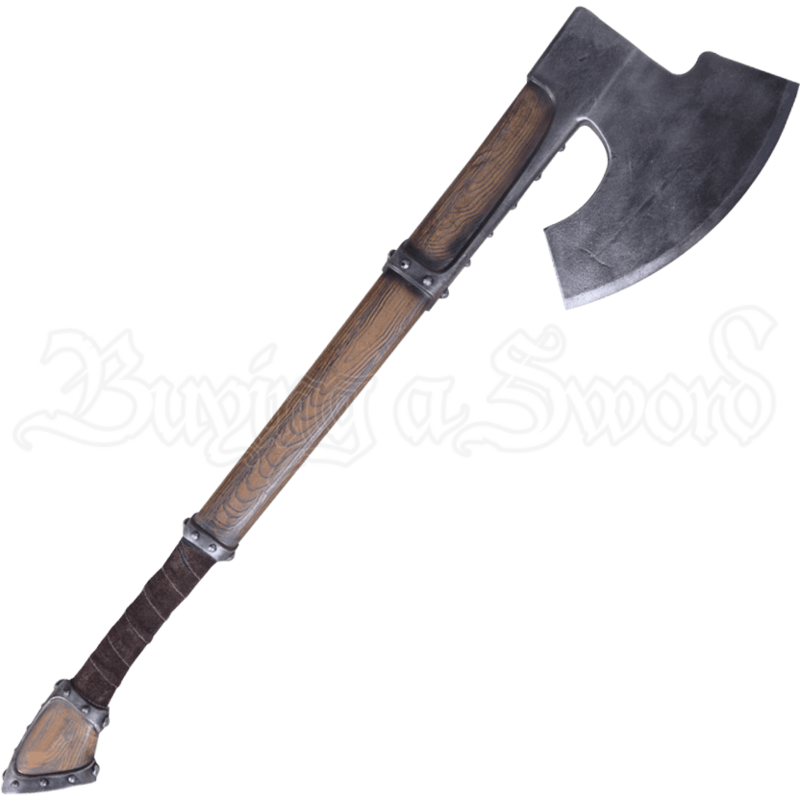 The axe is the trademarked weapon of the Vikings, and it was widely used in Europe in combat and executions. The Runar LARP Battle Axe reproduces this weapon and places it in your hands, entrusting you with a steadfast battle companion. This LARP weapon is crafted from a specially designed latex-free, injection-molded foam with a strong fiberglass core. This core ensures extreme durability while keeping it safe for use in LARPing, theater, staged events, and more. The grey bit of this axe features an extended blade with a deep, thick beard. Its haft displays a wood-grain design, and the handle is wrapped in suede leather, making gripping comfortable and easy. 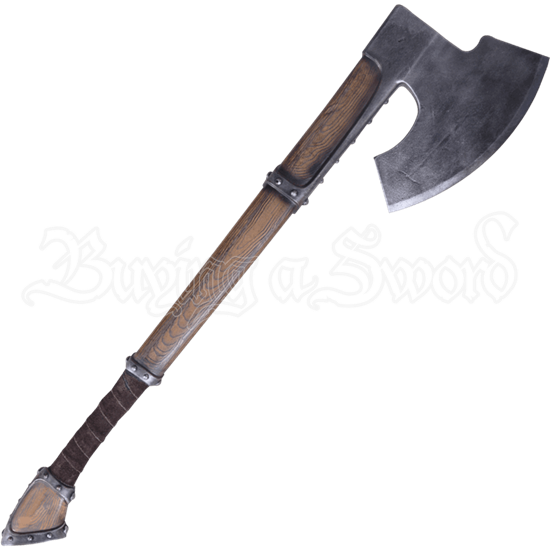 For any Viking or medieval warrior in search of a polearm, the Runar LARP Battle Axe is certain to impress.